A few weeks ago we reported on the INCOMING MASSIVE FAX NERFS proposed by CCP. The forum post, sporting 16.6k views, with 222 users posting over 500 replies to CCP Rise’s request for input on the topic and suggested numbers, now has as a conclusion. FAX nerfs, as stated will not happen and further “tweaks” will be delayed. We’ve decided to delay changes to FAX until we can spend some more time looking at options. It’s clear from the huge range of input here and elsewhere that FAX balance is very complex and we want to make sure we make the best change possible. We’ll check in again as soon as possible with the revised proposal. The Nerfs Will Come When? 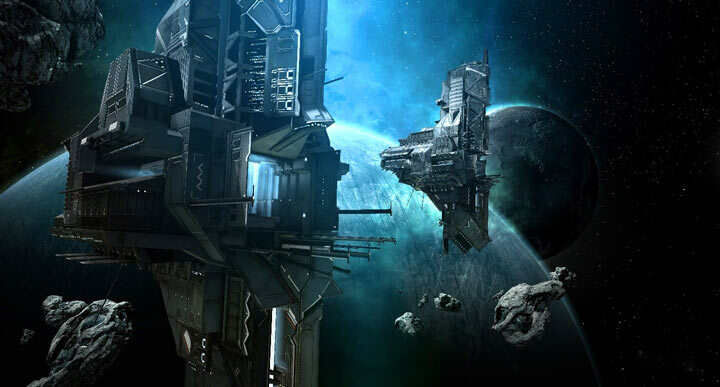 The Updates section of Eve Online now hosts “Force Auxiliary Balance Pass” as its first card for Fall 2018. The Updates section states the nerf in softer terms, “Based on community feedback and requests for a deeper look into the current effectiveness of these hulls, a balance pass is coming to Force Auxiliaries that aims to tweak both their remote and local repair abilities.” The card includes a link to the original forum post, possibly to continue collecting player feedback and ideas. While the crushing hand of nerfs have stayed, even temporarily, this looks to be a win for players. The largest drivers within the forum post were mainly of three sections of players, both for and against the changes. The first group was the wormhole dwellers, primarily pushing for changes to allow more fair fights. The next group vocal group were NullSec and FAX pilots talking about things they encounter and a good number agree with the need for changes, but most were against a simple number drop. The third group, which seemed to be made up of a wide selection, wormhole, NullSec, and LowSec dreadnought pilots, pointed to themselves as the counter to FAXs but required more tools to bring balance. Please take a read through for a more in-depth review of some great ideas to balance capitals in general. We do not make changes for the sake of making them, but we never fail to make a change when once it is demonstrated that the new way is better than the old way. r8CoTH Thanks for sharing, this is a fantastic article.